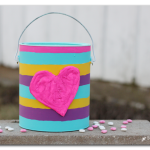 Valentine’s Day is approaching us quickly and that means your kids will have to decorate a something to bring all of those beautiful valentine’s home in. 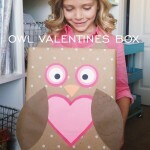 We rounded up 15 of the cutest valentine boxes to make that girls (and boys!) will love to bring to school. No more brown paper bags with a big red construction paper heart glued on the front. 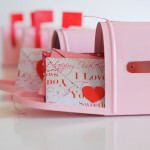 Which one is your favourite Valentine boxes? 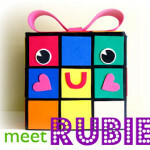 Personally the 80’s child in me is loving “Rubie” The rubik cube but the owl is simply adorable! Our Son, Noah is really into the show “Arrow” lately so cupid’s holder would work too…we just might have to switch out the “girlie” pink for green. The girls just can’t decide but any of these would be a great way to share in the fun! These are so adorable, way to set the bar on my first time making a box with my son. I need to show him these to help us nail it this year. Awww! I love everything especially the Rubix cube and Puppy Rag one! Thanks for sharing! These boxes are cute and the kids would like them all year long and they would be a treasured item for years to come. I am loving all these Valentine boxes, I do not have any kids yet and my nephew is too young but I think it would be awesome to make these cute valentines boxes. These are adorable boxes. I’ll have to bookmark this post and use it next year when my youngest goes off to Kindergarten. These are such cute ideas. I especially love the Fox box. How cute and fun! 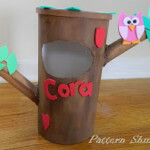 I don’t generally do much for Valentine’s in the way of boxes, or presents for my kiddos but what fun would it be to make something like this with them! So many cute ones. These are so stinking cute and innovative! I wanna do the Vday Rubix cube! What a cute roundup! 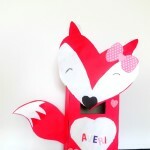 I really love the fox and the robot – my girls would have a ball decorating these for V Day! 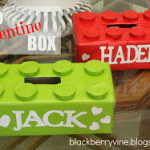 These are all very cute Valentine boxes indeed and look like awesome fun to make as well for the kids. The Happy Camper one is my favorite. Thanks for sharing. Those are all super cute! My son would love the Lego and the Minecraft! These Valentine boxes are all super adorable but I must admit, that puppy box is AMAZING! How cute is that?! These are SO cute! Love the Rubix cube, reminds me of my childhood – the 80’s! 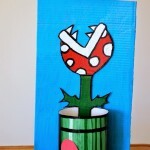 My kids are too old to make Valentine’s Day boxes but these are adorable. I love the owl! Oh my God! How cute are these?! I really couldn’t decide which one I like the best. I have a thing for foxes so I love the foxy box but the Mario plant one appeals to my geeky side and the Rubiks cuve is so nostalgic! Those are all so cute! My son would love the Lego one! 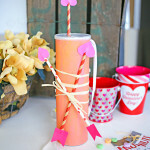 One of my favorite childhood memories was decorating my shoebox for our school valentine’s day party. I absolutely love the robot one–wonder which one my kiddos would choose. These all look so fun, my kiddos make them in school. I can’t wait to see what they all create this year. These are all cute ideas! I love getting the kids in on the fun during the holidays especially during Valentine’s. I think my daughter’s class would enjoy doing projects like these very much. I will have to try to do some with them! What a great compilation of Valentine’s Day boxes. These are so cute for filling with little trinkets and treasures. I have a few I’d love to make! I couldn’t choose between the foxie and the Lego box. Okay, so maybe for simplicity’s sake I’d go for the Lego box, but goodness what sweet choices. My little girl would be so happy to bring these in to class with her next week. The Happy Camper is my fave! It looks so retro and cute. They are all adorable. The puppy and fox are too cute! Perfect timing, as I’ve got three boxes to decorate before Friday’s parties! This is a great roundup of ideas! These are all so cute! My preschooler made a shark one for his Valentines party. Puppy box, what?? Oh yes, I do think we’re going to have to sit down and try to make that one!! 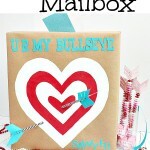 The foxie box and the You are my bulls eye is really cute! Well, I could make the bulls eye since it looks easy to make. I guess this is going to be our Valentine’s project. My kids will be thrilled to make Vday boxes.. now what to put inside? Oh my gosh those are all so adorable. My son really loves the song, “What does the fox say?” right now, so I think he would love the fox one. The camper is really adorable as well! So many cute ideas! I really love the happy camper box and the robot box. I know my little cousins would love making these and taking them to school. 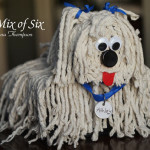 Oh my gosh, that shaggy dog box is beyond the cutest thing. 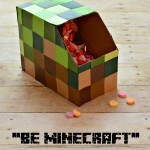 I would put ALL my valentines in that box if I saw it. These are such cute ideas! I love the variety of styles and themes. These are cool stuff! People are really creative. Think about how they are able to come up with adorable and cute boxes. 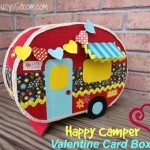 If I may choose, I would love to have the Happy Camper box. Thanks for the list. These are adorable! The robot is awesome, my son just made a shark valentines box for his preschool. 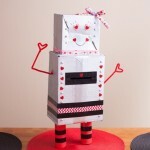 Love this roundup of Valentine Boxes. Each time I go to school for my sons parties I am always in awe of the creative ideas! We have a batman box on our blog that would be a great addition for the little boys 🙂 My son has been using it for several years even. 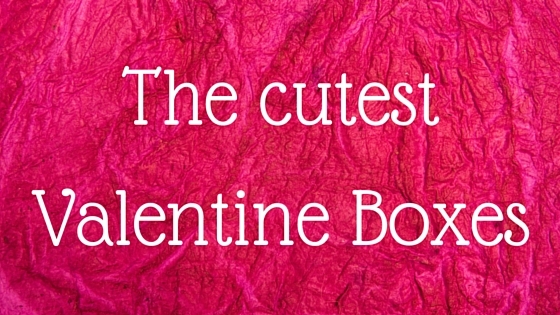 I am sure to share this cute list of Valentine Boxes with my friends. This is the first year my kids won’t be making one! I miss this when they were little! So cute! OMG!! These are too adorable!! I’ve been looking for a creative way to introduce this holiday to my one year old daughter. I may have to think about attempting one of these projects! I love the owl box! She loves owls!! Those are super cute. I Miss when son use to do art like this. Now it’s all about teenage stuff. Cute ideas for both boys and girls. They would love these.